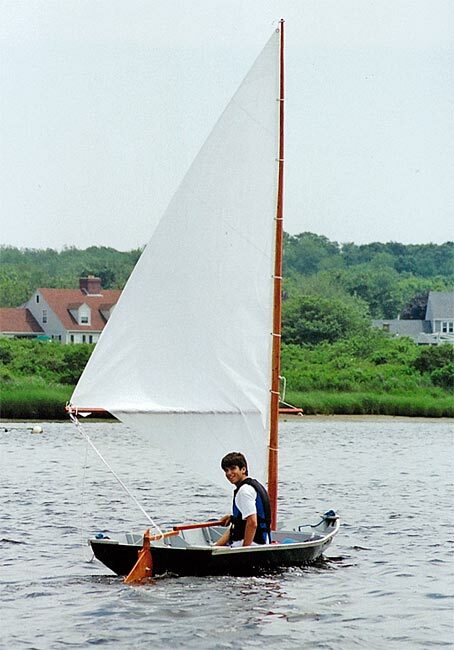 Joey Cyr, age 16, spent the winter of 2005 building this Phil Bolger-designed Gypsy daysailer in his family's garage. 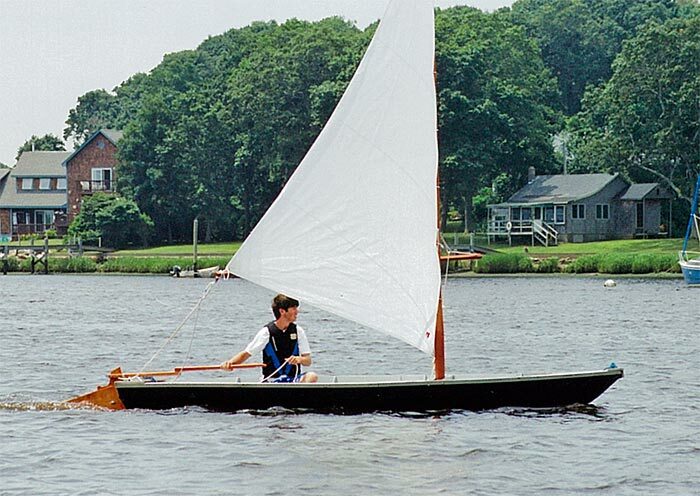 With simple tack-and-tape construction, Joey found the boat well within his capabilities, and now enjoys sailing her off Point Judith, Rhode Island. Joey is already planning to build an 18' Weekender, designed by Stevenson Projects, for his next boat.